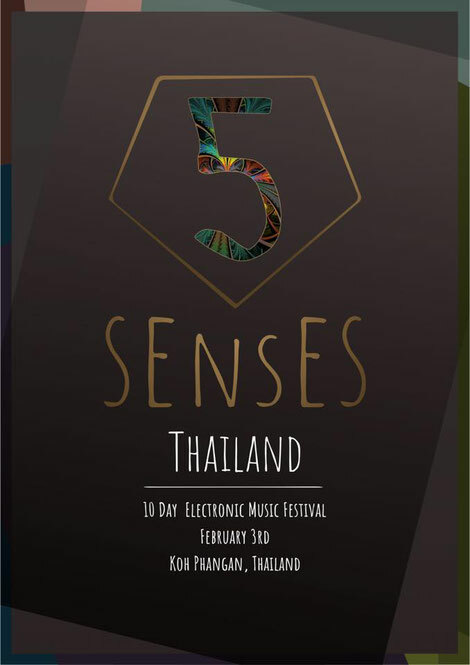 February 2018 will see the launch of 5 Senses Eco Festival, a boutique party in Thailand’s tropical Koh Phangan. Koh Phangan has apparently been a famous place to get away from the everyday world for many years, not just because the location is a ‘piece of paradise’, the local Thai culture is also special. The festival is designed to tickle each of the five senses of the human body. It will apparently showcase some of the best record labels and agencies deep in the tropical jungle where high mountain locations, waterfall parties, boat parties, beach side parties, secluded bays and starry night skies will form the backdrop for ten days. Inside, there will be fire shows, high rope dancers, entertainers and food from around the world, with hostels, hotels, resorts and villas providing the service and a place to rest. Each party location has been carefully selected to ensure a different and eclectic experience. With daytime events and nighttime raves all inclusive, the festival will be capped at 1000 people only.